The Grande Ecole debate rages on and on. Sarkozy spoke to the 'Monde de l'education et de la Recherche' the other day and repeated his view that grande écoles should have a more socially diverse intake. Rather than insist on quotas, he supports the system, already in place in some schools, of parallel admission procedures to enable those who distinguish themselves elsewhere to use that experience to support their application. Le Figaro interviewed six top bosses from grande écoles and asked them what they thought about increasing social diversity, quotas, grant-assisted places and their fears that interfering with the system might devalue the final diploma. For some, the problem of discrimination is not the fault of the grande écoles but one further up the system. Claude Bébéar (AXA) believes that a system of tutoring from primary level should be re-established and that children should be properly coached on their career prospects. Many kids dismiss the idea of applying for the top schools simply because they are not sufficiently encouraged and don't consider studying post-Bac for so many years. Pierre Mongin (RATP) believes that businesses can help integrate a more socially diverse selection of students. At RATP, there is a Foundation partnered with HEC and l'université de Cergy-Pontoise which facilitates access to a certain number of talented students. RATP also offers sandwich possibilities to help students pay for their studies alternating work with studying, and the experience gained is, of course, greatly appreciated by employers. Henri Lachmann (Schneider Electric) presides over the Télémaque Foundation which helps kids from the ZEP (zones d'éducation prioritaires) get into the best lycées and accompanies them until the Bac. He believes that, rather than grants, students should take out special loans to be paid back over 5 years after the end of their studies. Universities, he says, aren't better because selection is achieved too often through failure (to get in somewhere else). Mercedes Erra (groupe Euro RSCG) is another who believes that schools are failing in helping more kids gain access to the best schools and says that if tutoring becomes more important in achieving success than schooling then the social elevator (ascenseur social) has broken down. She's all for parallel admissions. Jacques Attali (PlaNet Finance) believes that grant-assisted quotas are a short-term necessary evil, and that parallel admissions between institutions are a good idea. He also thinks that ZEP areas should have their own private schools and classes prépas, and that universities often let their students down by a lack of supervision. 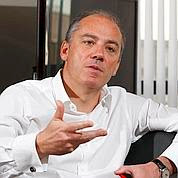 Stéphane Richard (France Télécom) believes that quotas are also a necessary evil. Business, he says, should reflect society and it's clients so it should diversify its recrutement at every level. It's a question of good business and social responsibility. Most are highly critical of l'education national because, since the sixties, it's been gradually ruined by destructive liberal lefty reforms. That, more than anything else, has brought about such social disparity. Sound familiar? !